We are going to add the Intro.js plugin in our Angular application using a simple and quick method. We are done with integration on introJS in the project. Now we will get to know How to use IntroJS in Angular Component? Then we just need to call introJs().start() on component load or on any event. 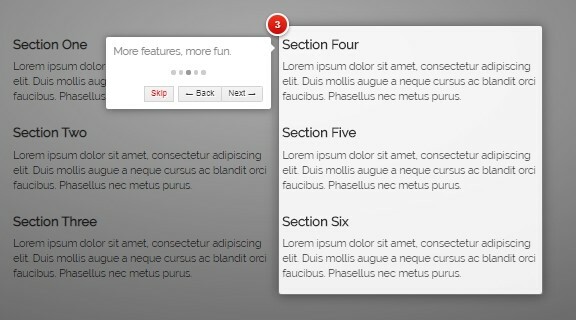 data-scrollTo: Optionally define the element to scroll to, element or tooltip. The default is an element. data-disable-interaction: To disable interactions with elements inside the highlighted box, true or false (also 1 or 0). That’s all you need to implement a great Introduction or Walkthrough plugin in Angular Application. Next Next post: Angular 7/6 | Add Data-tables with Ultimate features in Few Steps!